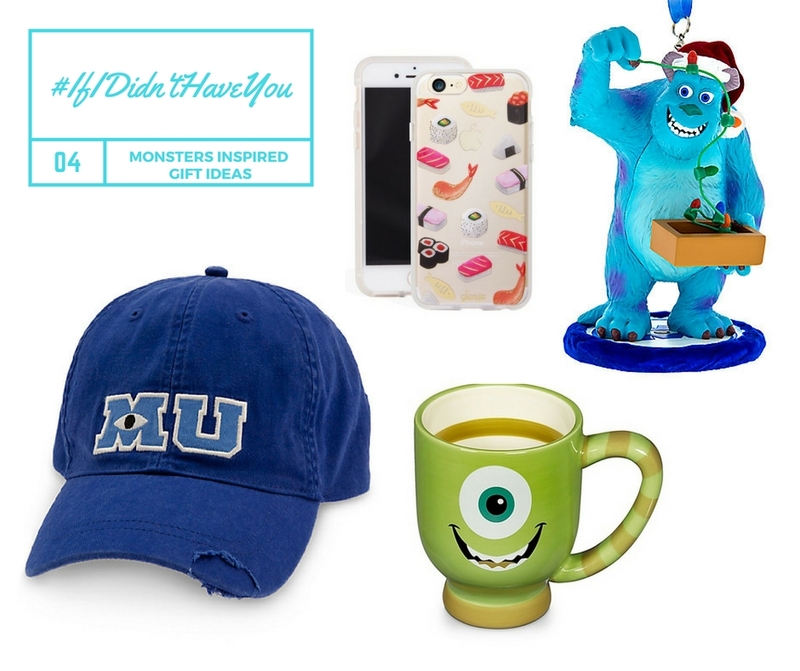 Here are four gift ideas for someone who loves Mike and Sully! Monsters University Hat: Such a classic Disney thing, you see these all over Disneyland because they are so cute and popular. Perfect for anyone going to college next fall! Sushi Phone Case: Ok so maybe no one else remembers this motif and its just me….but that scene where mike and his girlfriend go out for sushi always comes to mind when I see sushi themed things! I had to include this fun case in this gift guide. Mike Coffee Mug: Always Watching. This mug is part of an adorable character series, mugs make the best inexpensive gifts for literally anyone that drinks coffee or tea. Sully Christmas Ornament: This is just the cutest! Usually I try to not do an ornament on every single gift guide, but this one is a favorite. I saw it in Disneyland and hat to pick it up! See you tomorrow for another Disney gift guide!